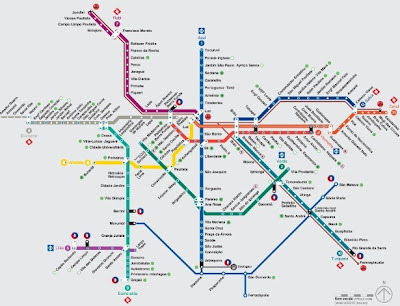 Despite the size and importance of the city São Paulo has one of the youngest metros in the world, line 1 having been constructed only in 1968, with the other 4 following afterwards. 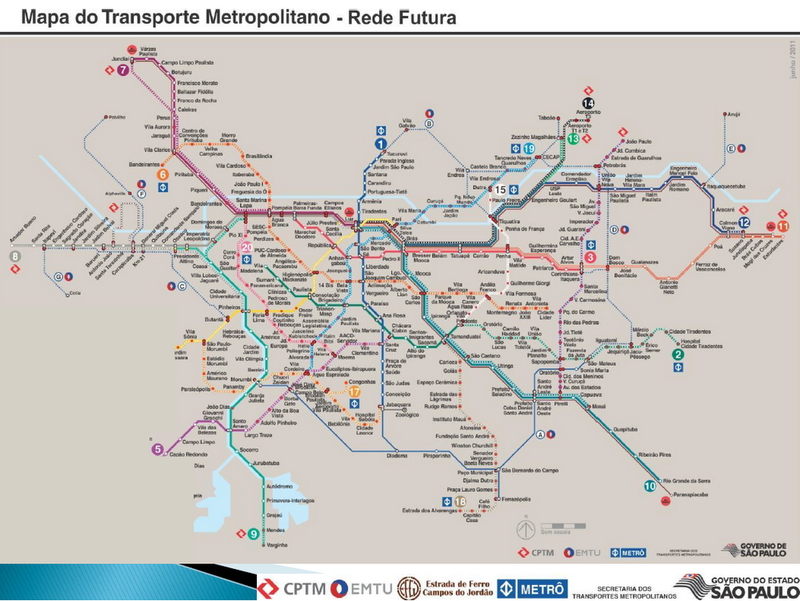 It is regarded as modern by regional standards and is complemented by over 250km of suburban rail estension (CPTM) some stations of which allow transfer to the main metró network. 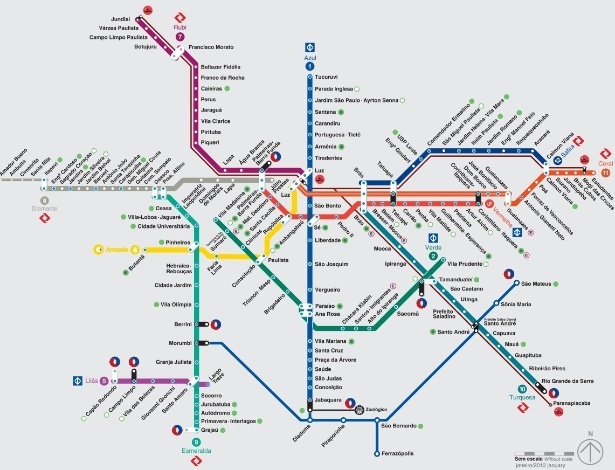 Nevertheless the system is simply not extensive enough for the population it aims to serve and witnesses notoriously busy rush hours so it's no surprise to hear speculation over which new lines or stations are needed and what is planned for the future. Less common, however, is to receive an insight into what transport improvements are truly planned by local authorities. 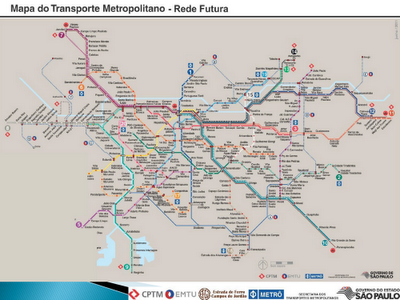 Below is São Paulo government's alleged projection of what the network should look like by 2030. As you can observe that's an awful lot of lines yet to be built and, as anyone familiar with timings on Brazilian projects will know, all we have to do now is wait (and hope).. So i asume that with such a big net of transportation the trains are not packed anymore, right? That is the plan but don't hold your breath.. When I have spare time, I often read your posts. To me, they are very useful because they contain knowledge and understanding I want to know. 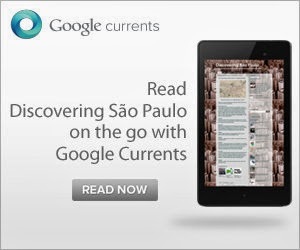 They give me effective tips.